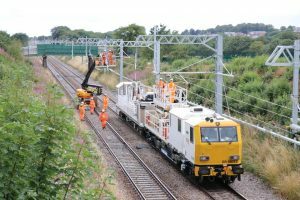 Network Rail selected the preferred bidders for 10-year rail system contracts including track, points, overhead lines and signalling in Scotland and the South of England. In South, Network Rail awarded the track and rail system to Colas Rail and AECOM and in Scotland to Babcock Rail, Arup and Arcadis. The 10-year contracts, with an initial 5-year period with an option to extend, are divided into three new geographically-focused alliances between Network Rail, designers and construction suppliers; North Alliance (Scotland route); Central Alliance (London North West, London North East and East Midlands route) and South Alliance (Anglia, South East, Wessex, Western and Wales routes). The Central alliance bidding process continues and a preferred bidder will be announced in due course following final verification and internal approvals. The three contracts in Scotland, Central and the South are work an estimated GBP 5 billion (EUR 5.7 billion) over the term of the contracts. “Reaching this important milestone ensures we will have a stable foundation for the delivery of the Great Britain’s core railway infrastructure for the next decade. Our new strategy allows us to better align to the routes and ultimately, deliver for customers,” Steve Featherstone, programme director Track, said. The framework award is one of the most substantial of Network Rail’s CP6 contracts to be let following the Office of Rail and Road’s final determination, which confirmed GBP 35 billion (EUR 40 billion) of funding for rail maintenance and renewals.